SPC had outlined a relatively large slight risk area coincident with a 2% tornado risk across western South Dakota and western Nebraska. My initial plan was to head west on highway 2 towards Alliance and perhaps adjust on the way there based on data. A mesoscale discussion was issued from SPC a little before 20z indicating a severe thunderstorm watch was likely within a couple of hours as cumulus had started to develop from south central South Dakota into the Nebraska Sandhills and a secondary area of cumulus was developing in the extreme western Nebraska Panhandle into Wyoming. As lee cyclogenesis was underway, this secondary target interested me more as it’d be near the low and help with backing and strengthening surface winds. I arrived in Alliance just as the show was about to begin. 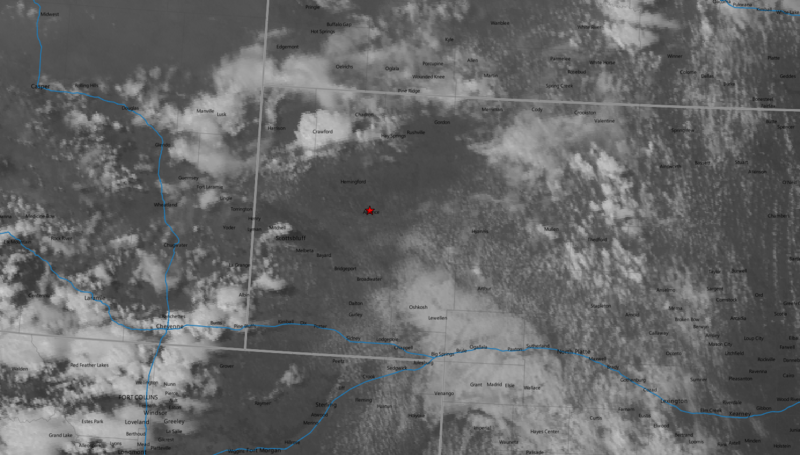 An isolated cell began to develop from the cumulus to the northwest near Crawford and exploded in just a few minutes. 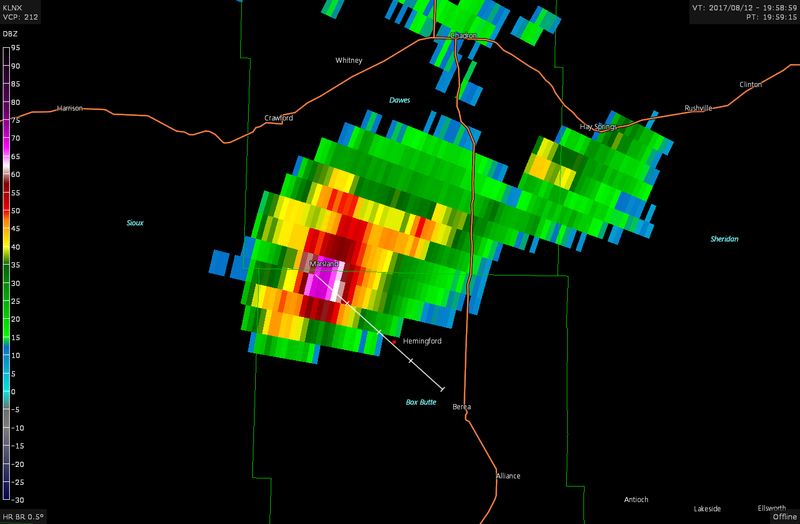 As soon as the cell began to erupt I began the trek northwest on highway 2/385 to intercept as it drifted southeast. 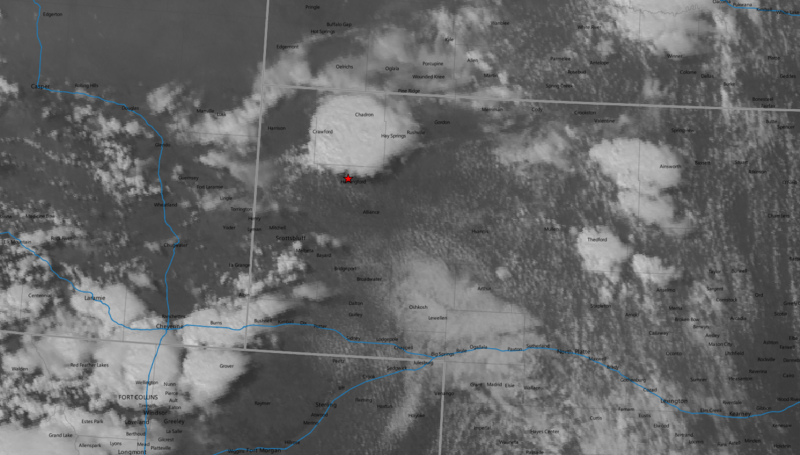 I got on the storm as it exploded at 20z near Hemingford. 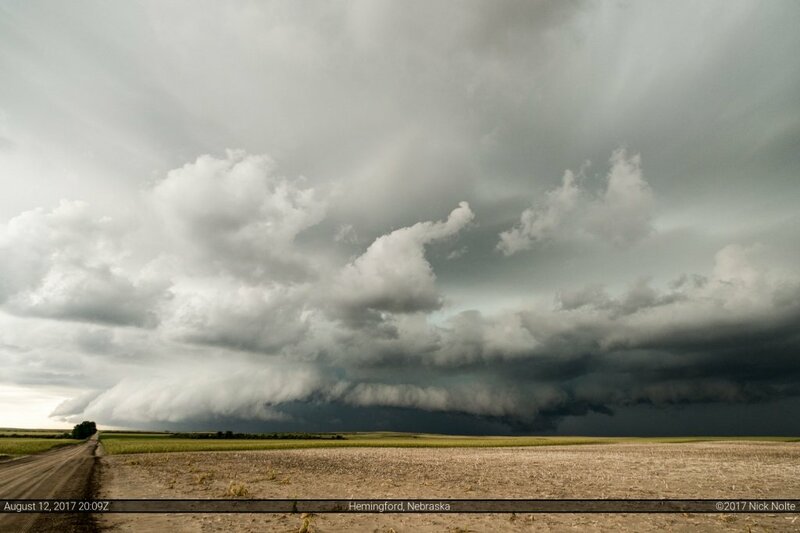 The storm presented a high precipitation core with a well defined shelf cloud out in front. Radar presentation also confirmed high precipitation blob. The storm still presented a very photogenic subject and continued to put on a visual spectacle as it continued to drift towards Alliance at 19mph. As the storm continued to Alliance it actually became quite more organized and some broad rotation was evident on radar. Beneath the storm a wall cloud began to form just west of the city and it looked like it might wrap up and drop a tornado right then. 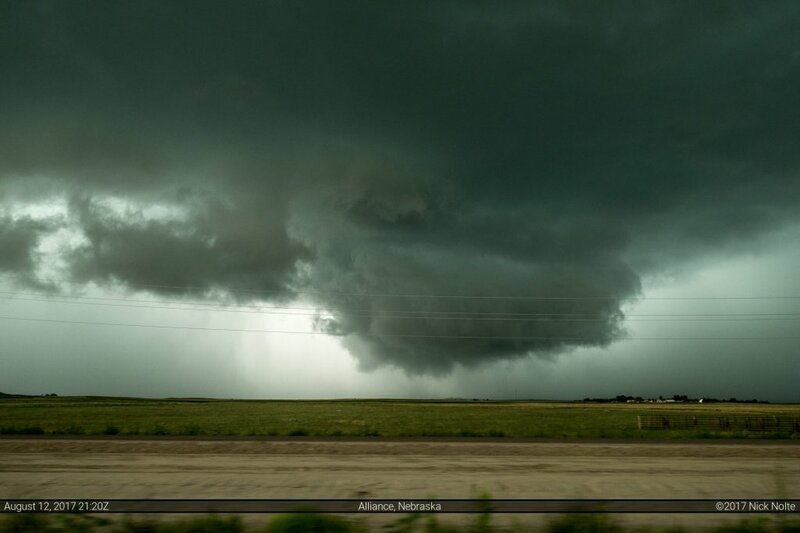 As I followed along US 385 while this drifted southeast, eventually RFD wrapped around the backside and obscured my view and a few minutes later the storm went tornado warned. Unfortunately east of US 385 south of Alliance is terrible for chasing as the western reaches of the Sandhills begin and there are no roads so was unable to keep up with the storm. However, it appeared there was a series of county roads that stair-stepped southeast from Angora, so I blasted southwest on 385 to get on that road and hopefully reposition in front of the storm again as it continued to move slowly at about 25mph. Eventually, east of Broadwater, I did get back in front of the storm and it had lost its mesocyclonic organization from Alliance but still looked awesome. In driving along these county roads I came into an area that was full of little canyons where I found a nice place to take a shot of the storm behind me over the rugged terrain. 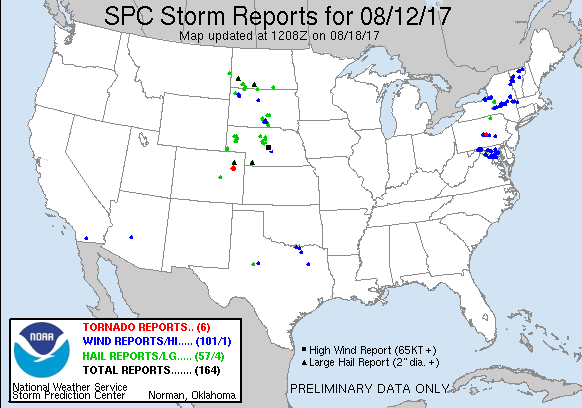 By this time, the storm had grown upscale and started to congeal with nearby cells into a messy complex that continued to drift off to the southeast as darkness settled in.